Chief Justice of India J.S. Khehar on Wednesday said that the Memorandum of Procedure is expected to be finalized in two weeks. The CJI also shed light on recent judicial appointments. “We made recommendations for appointment of judges to SC and that has come through. We’ve also made recommendations for filling up eight vacancies of Chief Justices of HCs,” he was quoted as saying. “We have been at it regularly for hours almost every day trying to finalize Memorandum of Procedure, expect to finalize it in next two weeks. I assure you we will try our best for early disposal of cases,” he added. 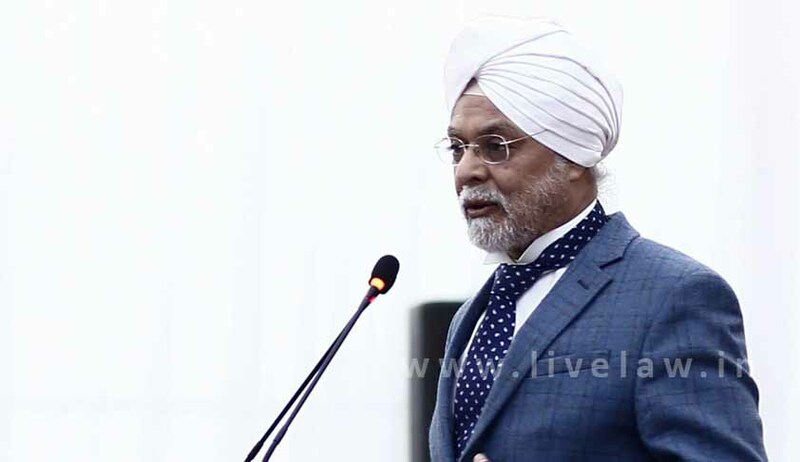 CJI Khehar was attending the launch of the book ‘Judicial Reforms – Recent Global Trends’, which has been authored by Mr. Dalveer Bhandari, a Judge at the International Court of Justice. It is brought out by the India International Law Foundation, and is the outcome of a Seminar on ‘Recent Trends in Judicial Reforms: A Global Perspective’ held in January 2013 in New Delhi. During the function, President Pranab Mukherjee received first copy of book from Prime Minister Narendra Modi at Rashtrapati Bhawan. President Pranab Mukherjee also addressed the gathering, and opined that the country's judicial system, which was raised more than six decades ago, requires major changes. “Reform, I mean. Change is a continuous process. It cannot be stop and go. Every system with course of time develops certain clogs within itself. There is need for constant change,” he said. He was of the view that while there’s no lack of talent, there was a need to have a system in place to utilize the talent expeditiously. “The simple point which I am trying to drive at is that it is high time for all of us to collectively not only think but also to act how to address these issues. Without Bench, without adequate infrastructure, we cannot have any sort of reforms worthwhile,” he was quoted as saying. He further drew the attention of those present, towards Allahabad High Court, which he said, during his tenure, saw less than 50 per cent of its sanctioned posts of 180 judges being filled. “If this situation of the higher judiciary is so bad, one can imagine the conditions of the lower judiciary,” he thereby said. Meanwhile, PM Modi opined that efficient governance was needed in order to reduce the burden on the judiciary. He also spoke about redundant laws, and brought into light the fact that he has till date discarded 1,200 of them. “Our aim should not only to hold up in the changing global order but we should have our voice also. And it will happen when we will become powerful and our policies, rules, behavior will be in accordance with the expectation of the world. So we will have to bring about faster changes to overcome the challenges,” PM Modi was further quoted as saying. He said it would have been good if Chief Justice of India J.S. Khehar had continued to hold the position for some more time (beyond his tenure) since the latter took speedy decisions. Dignitaries present on the occasion also included Mr. Arun Jaitley, Union Minister of Finance; Mr. Ravi Shankar Prasad, Union Minister of Law and Justice; Justice Dalveer Bhandari, President, India International Law Foundation, and Justice Vikramajit Sen, Vice President, India International Law Foundation.